I hope this isn't so simplistic a post. 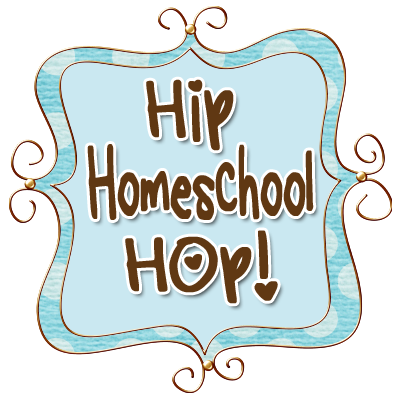 There seems to be so much information, reviews, etc about homeschool plannners. I don't want to add to the confusion but I would like to share my planning/record keeping system. If you already have a wonderful, organised system that is working fine for you, please feel free to disregard this post. You have my permission ;) If you are feeling overwhelmed or simply don't know where to start, read on! I have tried all sorts of things - free planner printable forms, free samples of homeschool planners, and "real" teacher planners. The problem was I was always modifying all these in some way and it was frustrating. I was also surprised that some planners have rules - never write in pencil, use this planner exactly as it's laid out, etc. I was ready to admit I was a complete planning failure. Then I got a bright idea. Instead of wasting printer ink printing out pages I wasn't satisfied with, I decided to design my own low-tech version. By looking at other planners I got an idea of what I wanted my planner to look like. I decided what I needed was a large divided notebook with 3 sections. Last July, I found Mead Five Star notebooks at a dollar store in Charlottetown for $3. They had enough pages to lesson plan for both children for the year plus an extra section for me to use for other purposes. The notebook was divided into 3 sections with pocketed dividers made of heavy cardstock, perfect for storing loose papers. Once I got the notebook home and decided on how things would be laid out, I simply got out a ruler and pen and divided the pages (front side only) into 5 sections horizontally leaving a section at the bottom for other notes. I labelled these 5 sections Monday to Friday down the margin. I wrote the child's name and the week at the top of each page. Then I simply write in pencil the subjects/activities/assignments on the lines. I've developed a system for what order I write everything down in for a uniform look and to make it easier to find things. I didn't sit down and draw up a full year's worth of pages at a time. Whenever I have a few minutes, I can fill out a few pages so I generally have them ready to go when I want to write down my lesson plans. I hope this hasn't been too basic or boring for anybody but this is just another way I have found to stretch my homeschool budget. It may be labour intensive to some, but as I enjoy the planning process of our homeschool journey, making my own planner is a fun thing to do. I have to say, I love the idea of some of those beautiful planners out there. I also love having exactly what I need. It's a pretty low-tech solution (notebook, pen, ruler) but it works for me!